What is it about these two games that seems to inspire such a flood of fan art? 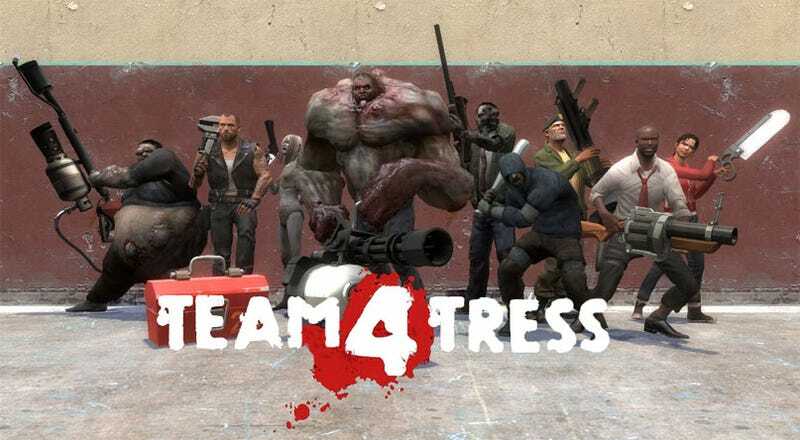 Not that we're complaining, as this Left 4 Dead meets Team Fortress 2 fan art is fabulous. Better than the previous effort? We're not here to judge. Okay, we are. I happen to like this classic TF2 line-up, via Digg, a little better than the "Gravel Pit" movie poster, but also recognize that these things can be thrown together in Garry's Mod without Herculean amounts of work. One question: Why does Louis always have to be Demo Man?